Thomas Müller believes FC Bayern München's strong end to 2016 is just the start for the record Bundesliga champions as they prepare to defend their domestic crown in the months ahead. Give your Official Fantasy Bundesliga team a lick of brilliant Bayern red during the unlimited transfer window! Bayern concluded the year with five successive Bundesliga wins, most notably seeing off nearest pursuers RB Leipzig to the tune of 3-0 on Matchday 16. 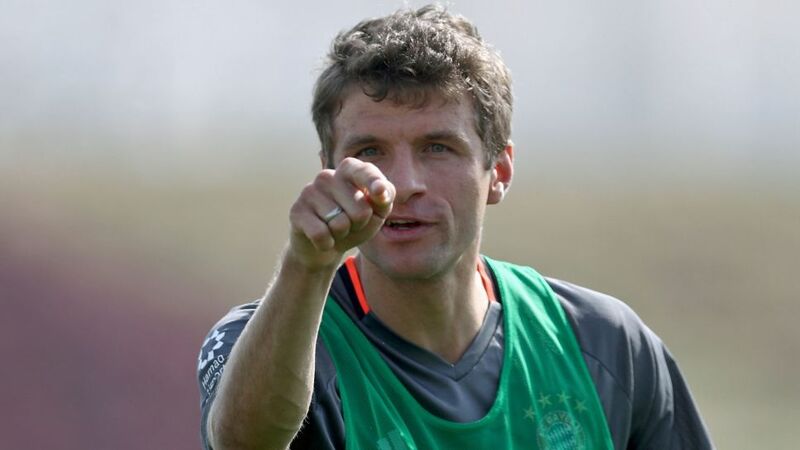 "You saw that we raised our game and have gradually progressed in the last three, four weeks," Müller said on the third day of Bayern's winter training camp in Doha, Qatar. "It gives me a lot of hope for the upcoming weeks. It'd be great if we've already had our sticky patch - that's the feeling anyway." Bayern striker Robert Lewandowski shares Müller's optimism. "The summer and winter training camps are very different from one another," the Poland international explained. "The summer pre-season was very short for many players and we couldn't fully prepare. Now we have a lot more time to improve tactically and physically, so I'm hoping the second half will go a lot better for us." "I think Dortmund possess the greatest quality, but they have dropped points over the first half of the season, which has surprised me," Bayern captain Philipp Lahm told www.fcbayern.de. "That's allowed Leipzig to enter the running at the top, but there's still a long way to go still. We might have to wait five to ten games to get a clearer picture of who will be at the top come May." Click here for a review of Bayern's pace-setting season so far!